Gweru rapper Still Gift has coined single number two, ‘Dr. Lonely’, written and self-produced by Gift himself, the song was recorded at Enlisted International and mixed by Victor Enlisted. 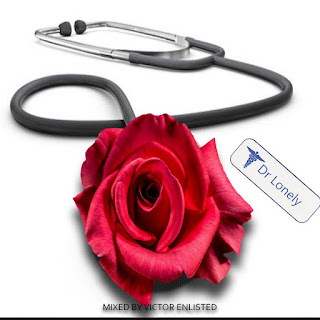 Dr. Lonely meets a lady that catches his eye one night out and instantly falls in love. They spark a scintillating conversation and they both start wandering off; she dreams of a happy ending but he is thinking of how bad he has ended all his past relations. The chemistry is so satisfying that even her charm manages to overcome his paranoia. Both work on the synergy they have created. The song is inspired by and samples ‘Tanga Wandida’ by Paul Matavire (also known as Dr. Love), hence the name. Still Gift is a rapper who hails from Mkoba in Gweru and is still young to the Zimbabwean entertainment scene. He is currently working on a mixtape titled E.S.C.A.P.IN.G. (Exclusive Short Commentary About Progress IN Gweru) which is due for a 24th of May release. ‘The Irony’ is the first single from the mixtape.